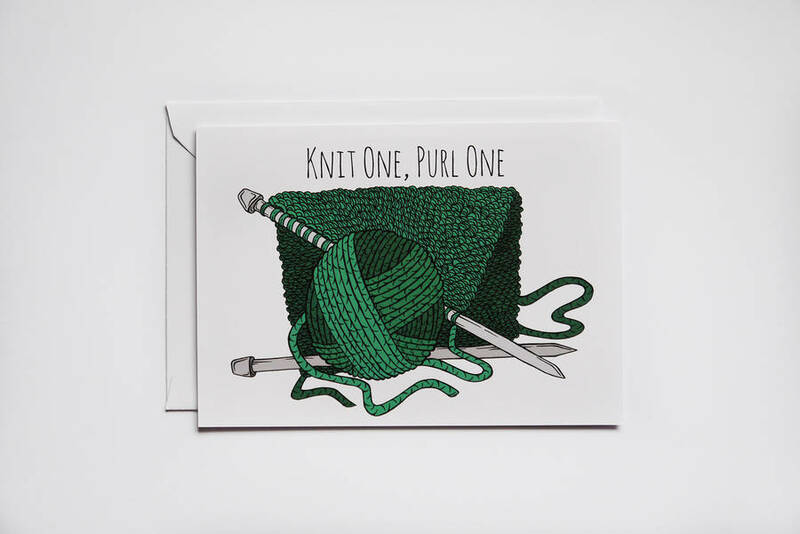 A fun knitting greetings card. 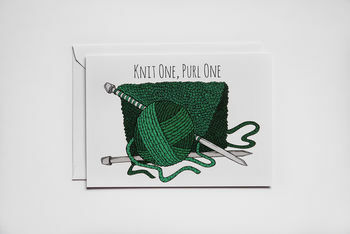 The perfect card for any knitting lovers out there. The inside is left blank so it is great for any occasion and it comes with a white envelope. This card was made from a print of my original Knit One, Purl One illustration. Shipped in a cellophane sleeve inside a hard backed envelope for safe delivery. Printed on premium 325gsm card. This product is dispatched to you by Aysha Illustrates.